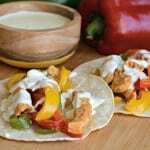 Being from Mexico, I know that fajitas, chicken or beef, are a practical and easy recipe that anyone that needs a great meal in a hurry can make, this recipe will definitely be a hit! In the southern part of Mexico they are usually made with beef, and are sometimes called arracheras, but now there are many versions including those made with chicken and shrimp! Generally they are served with different types of salsas, like salsa verde, but for this recipe I want to try something different – a delicious, melted queso sauce. 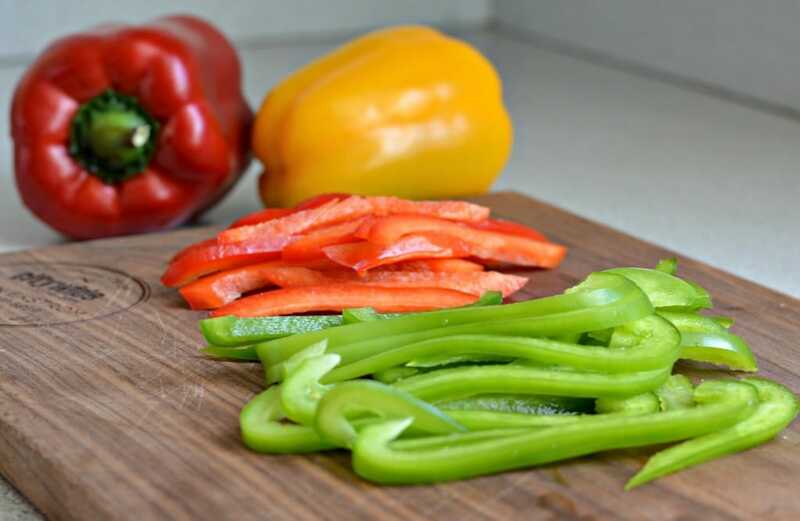 What I love most about fajitas is that, besides being an easy meal to prepare, it is a great way to incorporate fresh and colorful ingredients. Also, this recipe is very versatile, meaning you can substitute the ingredients that you don’t have with others that are already in your refrigerator. 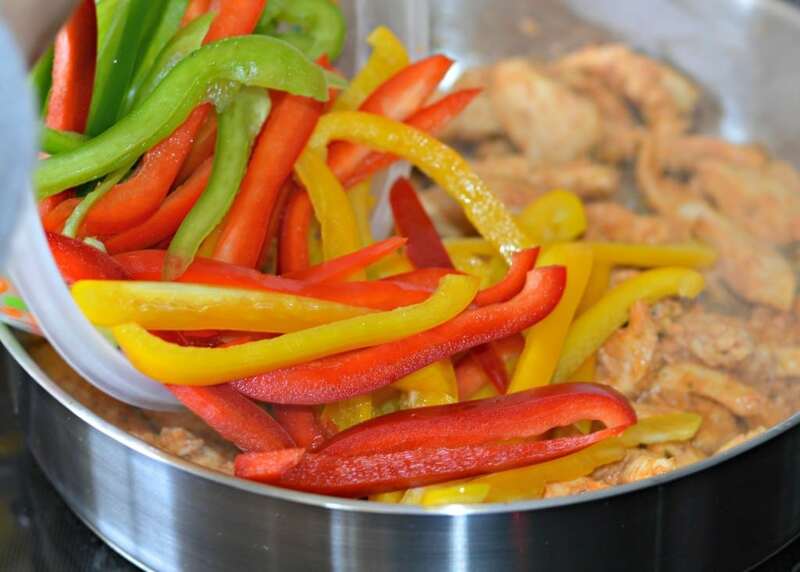 The secret to making these fajitas turn out as good as they do in restaurants is all in the seasoning and prep work. 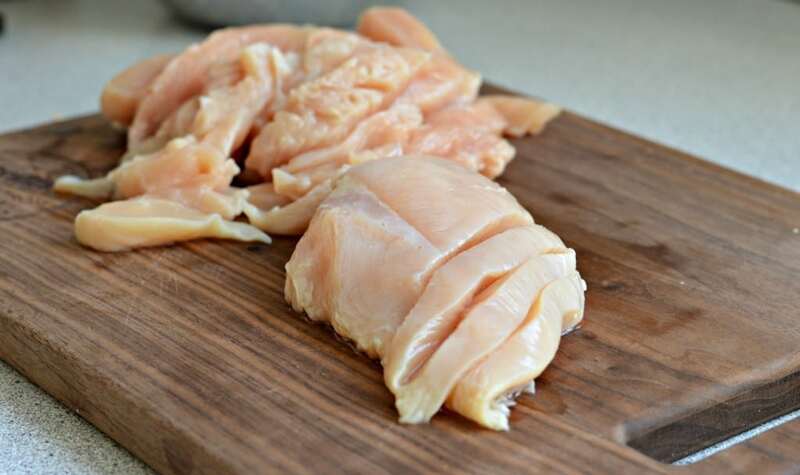 If you are able to marinate the chicken for a few hours, the flavors are even better. For the seasoning, you will need 2 cloves of garlic, 1/4 onion, salt, pepper, cumin, oregano, paprika, 1 tablespoon of white wine vinegar, and 2 tablespoons of honey. 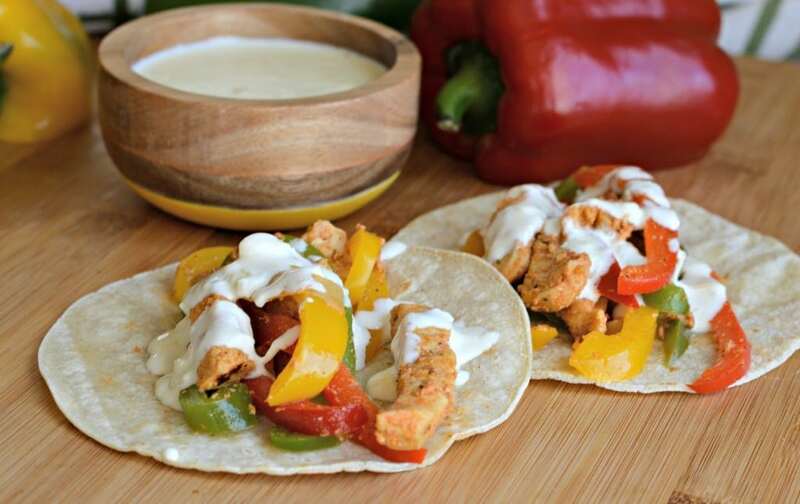 Once everything is cooked, serve over corn or flour tortillas, and top with the queso sauce (recipe below) and homemade guacamole. Garlic powder and salt to taste. 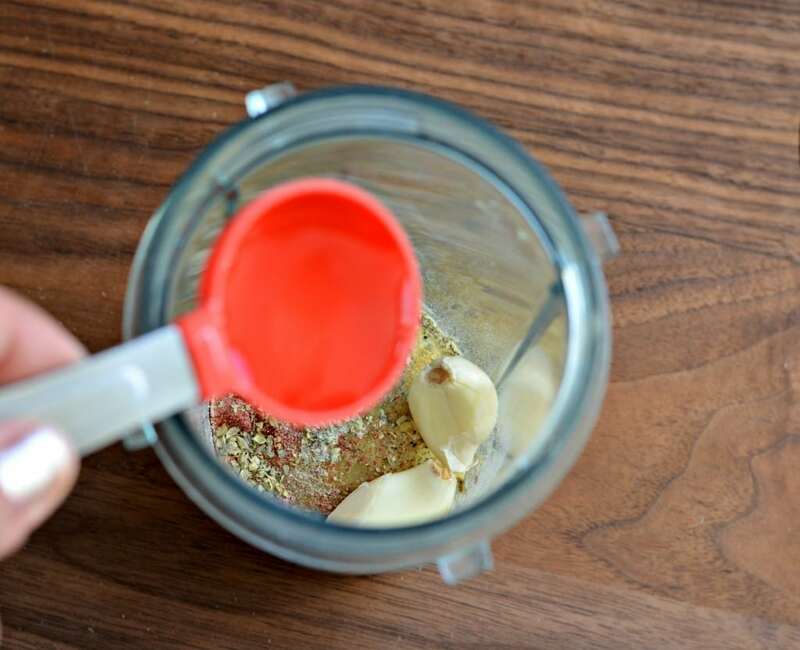 Blend the spices, the honey, the white wine vinegar the garlic, and the chopped onion in a blender. 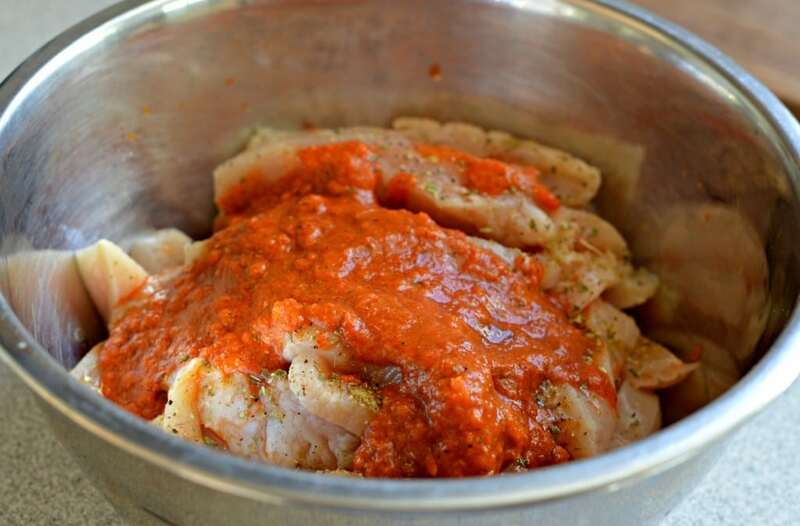 Marinate the chicken in the above mixture in a plastic bag or a bowl for at least two hours. 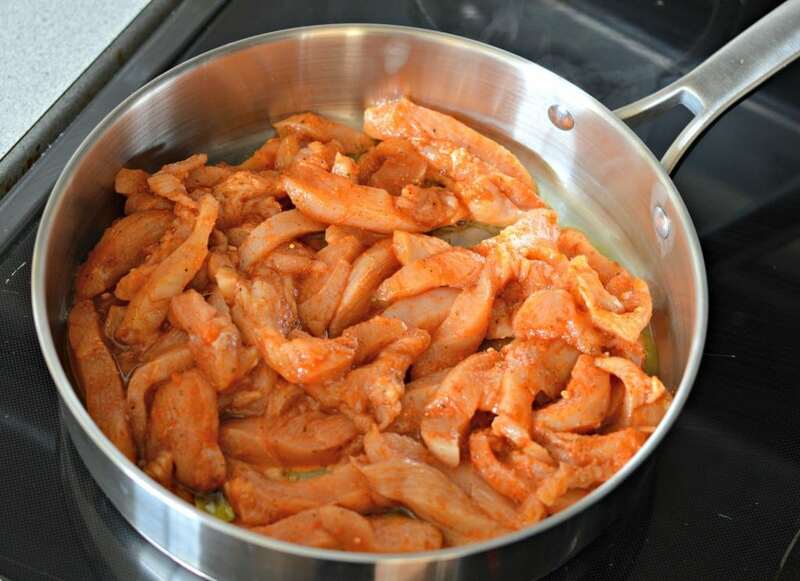 Cook the chicken with a small amount of olive oil until no pink is remaining. Add the vegetables and cook over medium heat until fully cooked. Melt the butter over medium heat and then add the whipping cream. Add the cream cheese, and stir until fully incorporated with the butter and whipping cream. Add the cheeses and season with garlic powder and salt. 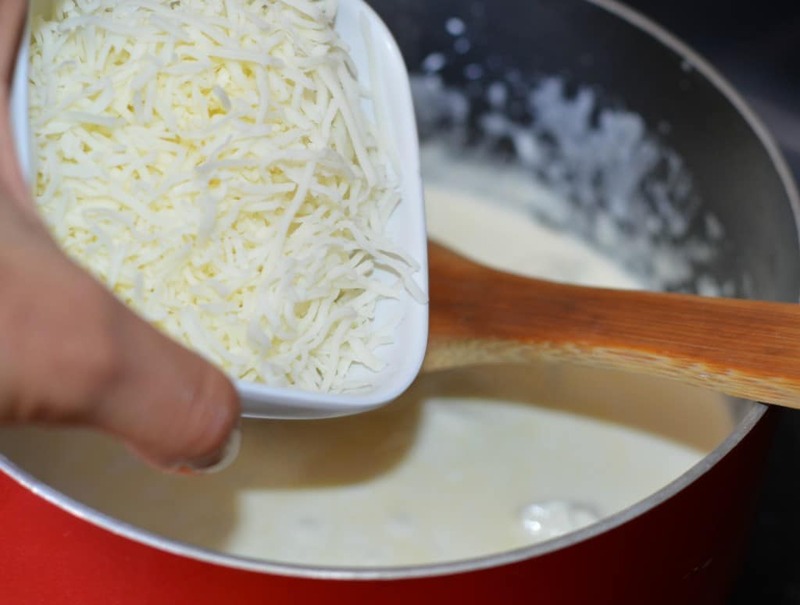 Let cook for a few minutes until the cheese is all completely melted and the desired consistency is reached. 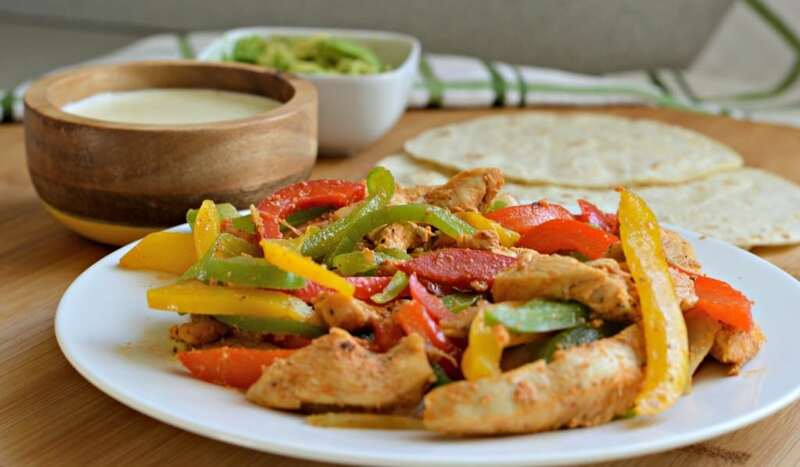 Serve with Corn or Flour Tortillas and top with the queso and homemade guacamole. We were lookimg for a re ipe to closely mimic a dish we had in corpus christie and tried yours. The only thing different we did was put the sauce on top of the meat and vegetables before serving and broil it for a few minuts. Thanks for your comment Julia! That sounds delicious. I’m glad that you enjoyed it!